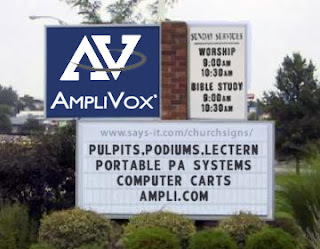 AmpliVox Portable Sound Systems is your one stop shop for all of your church needs: church pulpits, loudspeakers, wireless PA equipment (great for music), and elegant sound lecterns. 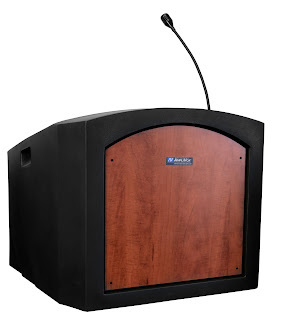 This blog is a podium and PA system guide to explain what products to buy for worship services. Plug in guitars and iPods to our sound systems into the cable port or headphone jack for crisp and clear sound. 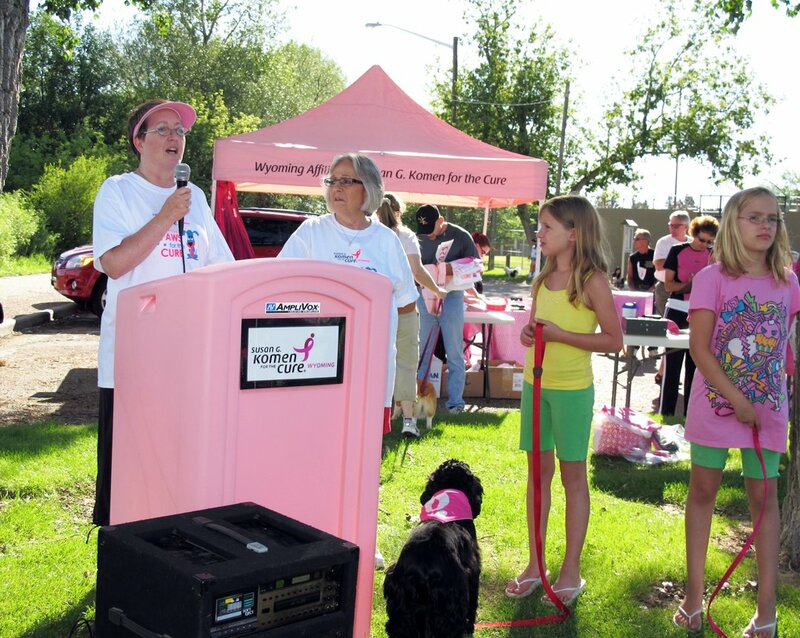 Blog: Posts Tagged "Worship Services"
AmpliVox has supported Breast Cancer Awareness groups by donating special edition Pink Pinnacle Podiums to their events. 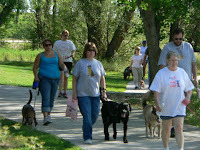 We have done golf outings, special banquet dinners, races, hockey fundraisers, and now "Paws for the Cure" fundraiser. 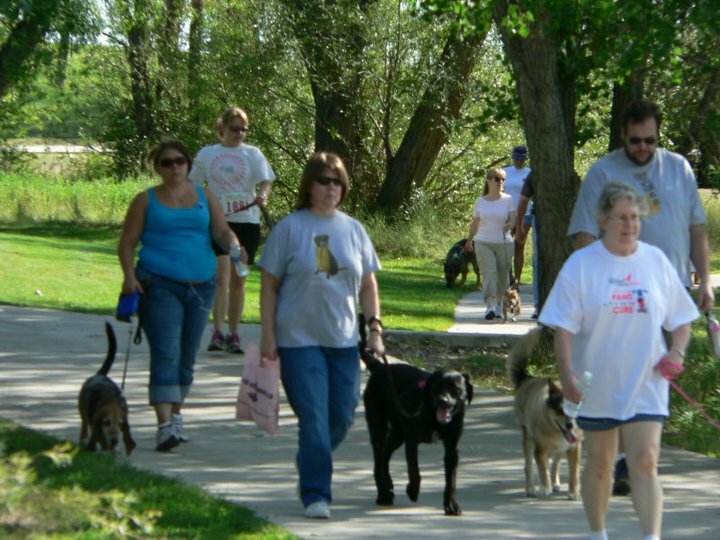 On April 6, 2011, the Wyoming Komen group hosted a fundraiser called "Paws for the Cure" that had participants bring their dogs on the walk. 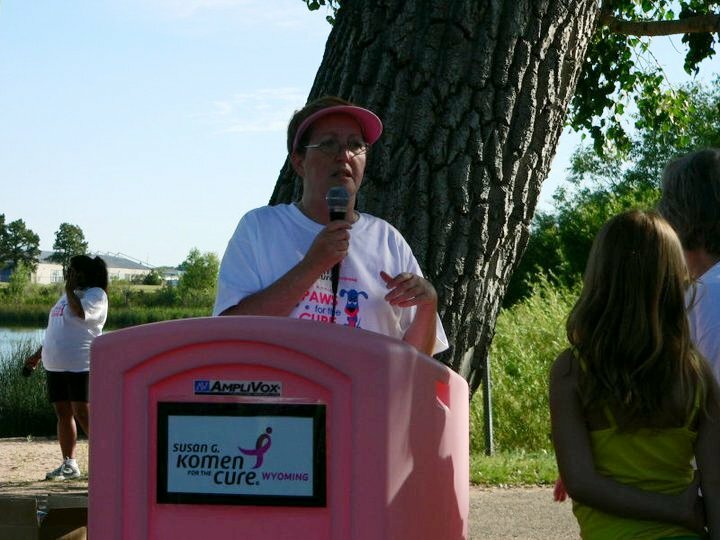 To view more photos from the event, visit the Wyoming Komen Race for the Cure Facebook Album. The reason the Pink Podium was chosen is because it comes from our durable and lightweight Pinnacle podium that is made from recycled plastic. We recently did a goofy video showcasing some specs of the Pinnacle called, "Will it Float?" 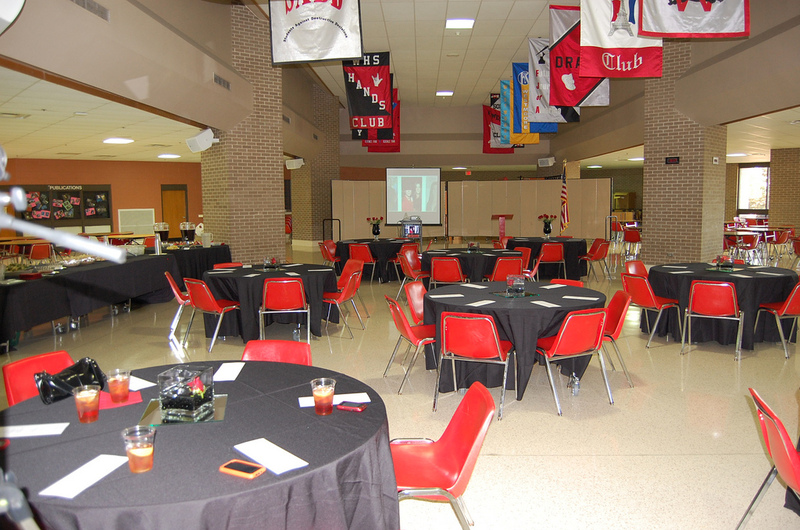 What kind of table top lectern do you need? A folding, travel-friendly tabletop lectern? With a built-in sound system? Able to plug into external sound system? Lightweight, rugged plastic casing or a modern stylish design? AmpliVox has a wide range of table top lecterns and podiums to meet any of your needs. Table top lecterns are the most portable lecterns that we provide. With their light weight design, built in sound system, and durable wood finish, they will work great in an office, banquet setting, school, or government office (we even accept GSA Contracts). 1. 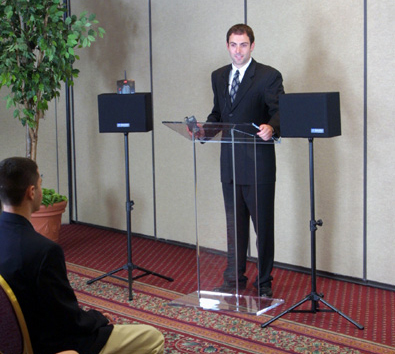 The Portable Table Top Lectern is a great multipurpose lectern that comes with a Media Cart. It comes with a table top lectern. But, it also comes with a matching wood media cart. 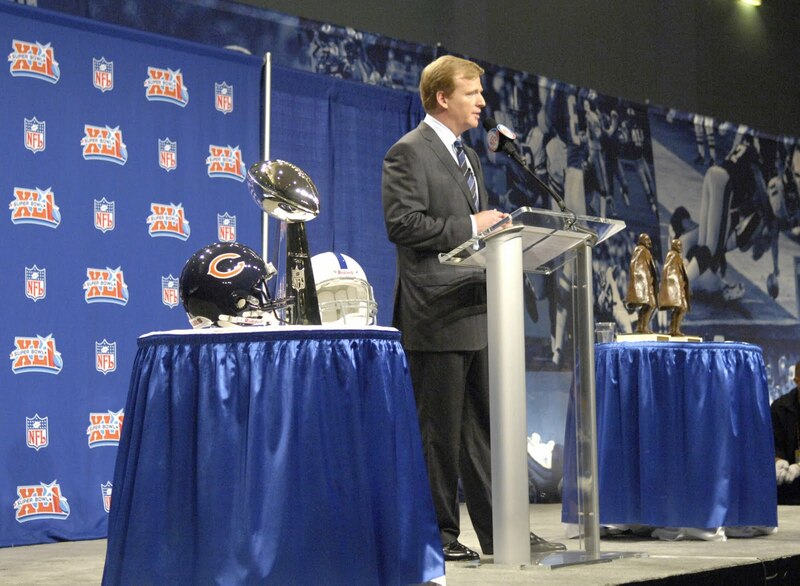 The function of the media cart is to turn the table top lectern into a full lectern. This model offers a built in sound system, two choices of wood grain finishes, and four rolling casters. 2. 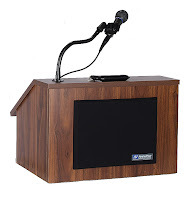 The EZ Speak Folding Lectern is another table top lectern we offer. This lectern can fold up for optimal portability. 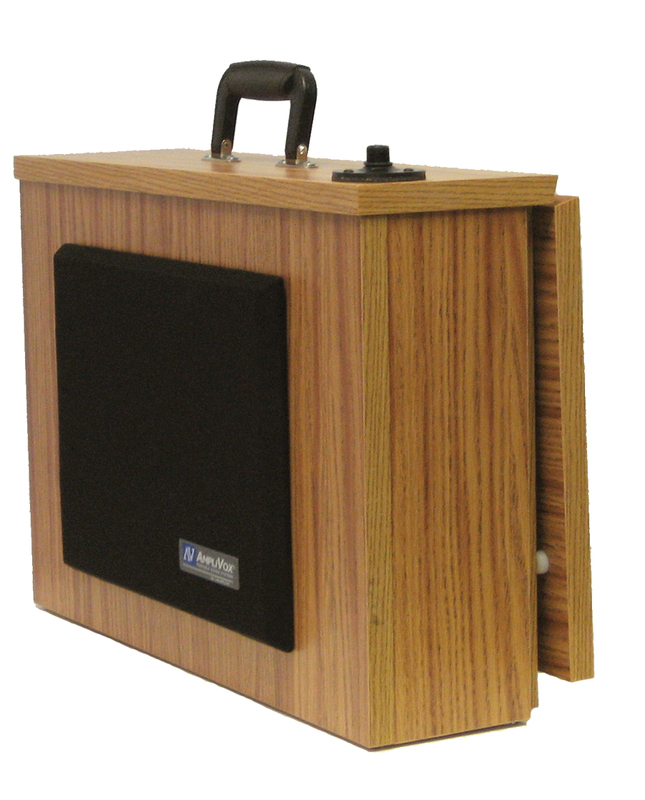 It also comes with a carrying handle, built in sound system, and a four different wood finishes to choose from. 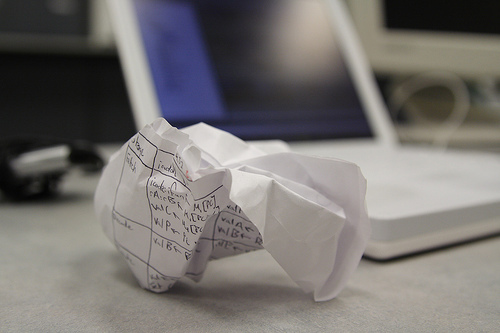 Don’t let your presentation get stuck in one room, go mobile. 3. The Travel Lectern is the next up. Think of this as the relative of the EZ Speak Folding Lectern. This sturdy lectern is made from oak and is space efficient. Pinched for space? This table top lectern folds up and is a great travel companion. Its design allows for it to be converted from a standard table top lectern, to a space saving wonder, with ease. 4. The Pinnacle Table Top Lectern is made of recycled materials. Its lightweight design, rounded edges, and durability make it great for presentations outside your office. 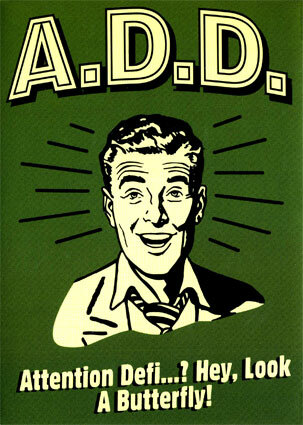 Use it everywhere you go! 5. The Victoria Solid Wood Table Top Lectern is another popular choice. 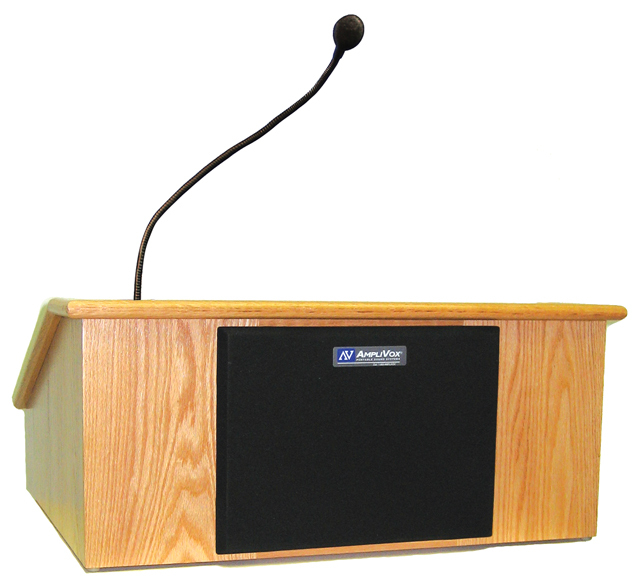 This lectern shows true elegance and works great for a local business, presentations, or board meetings. It also comes in five different wood finishes. 6. Roving Rostrum Podium is an option as well. 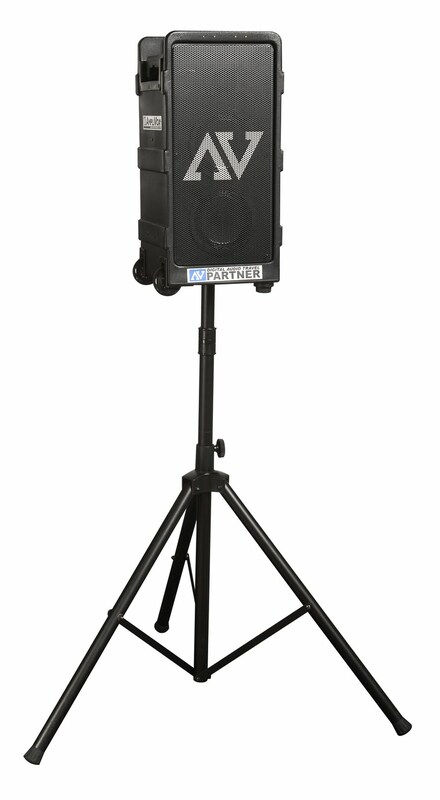 This portable PA system is made of hard shell plastic, perfect for constant on the go speaking. It’s easy to use, easy to carry, and easy to hear. With its Omni Directional speakers you can give your audience the sound volume and quality all in one package. 7. 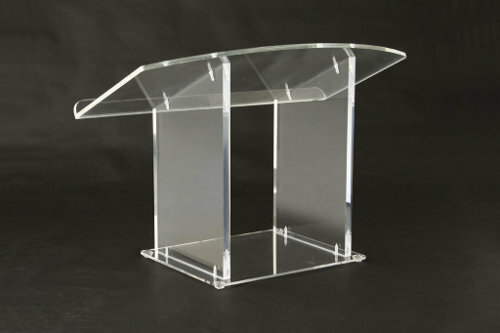 The Clear Acrylic Tabletop Podium Stand is the final table top lectern we offer. It features a extra wide reading surface for notes or books. Its curved front edge and modern design give a professional look. It is the clear choice. All these lecterns provide portability, durability, and the Amplivox brand name. AmpliVox has recently announced a partnership with Rotary International. 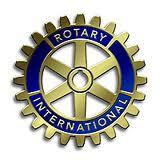 AmpliVox will product special-made products for Rotary International which includes their logo. 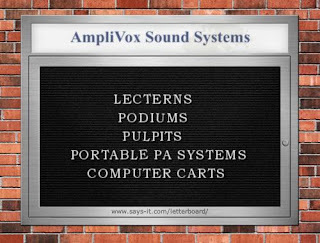 AmpliVox offers custom logo options for our lecterns and PA Systems. The Rock Hill Run 5K in Rock Hill, New York, used PA systems with custom logos. Click on the link to watch the video of PA Systems at the Rock Hill Run 5K. 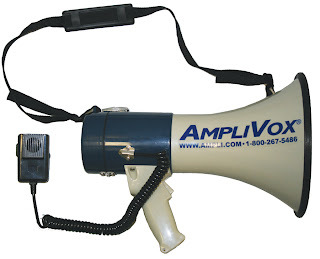 Blog Posts Labeled "AmpliVox Cares"
We heard a few years back that our Half-Mile Hailer Public Address System helped end a standoff in a hostage situation (see PA system in Hostage Situation video here). We recently ran across another hostage situation describing how integral a PA System was in ending the standoff peacefully. In these stressful, dangerous, and tense situations, a clear means of commuications is vital to achieving a safe outcome. SWAT teams and police officers need to be able to extend their voices. "We're not going to leave until we talk to you," a sheriff's deputy said over a public address system in front of the home at 22659 Sunnybrook Lane. "We need you to come outside with your hands up, Nicholas." "We're here to help you." Every year employees from United Stationers host a car wash to raise money for charities like the “City of Hope” to help fund research for many life-threatening diseases. In need of a loud outdoor portable sound system that could amplify their voices and music across a wide area, they chose an AmpliVox iPod Portable PA and the Digital Audio Travel Partner. 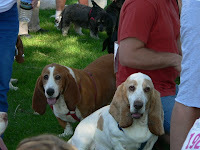 Their music was heard over the entire area while they washed cars, played games, and enjoyed the festivities of the day. Using wireless microphones enhanced their ability to project their voices and not be hindered by wires and allowed them to speak above music with the Voice Priority Feature, that automatically ducks the volume of the music when the speaker speaks into the mic. This video is in the YouTube playlist called "Fun Uses of AmpliVox Products." It works well, lighter than the old voice coil megaphones we had which kept cutting out. The "detachable" microphone is the only microphone, and is not detachable completely - it clips on the back where the mike is on a regular megaphone for normal use, but you can detach it from there if you're in a fixed location and want to put the megaphone down and use the handheld microphone. 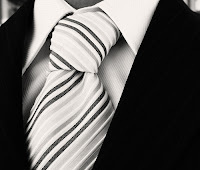 There is not a separate built-in microphone on the back, and you cannot completely detach the one microphone. The battery level feature is good, but inconvenient - instead of being in back where you see it every time you use the megaphone it's on the side so you have to remember to look at it while pressing down the talk button. The switch between off and the two sound effects is a simple slide switch, it would be better if it were momentary for the sound effects so you have to hold it one way or the other to get the sound effects, right now you have to slide it to the sound effect and then slide it back. But overall it works well, sound is clear, and it has nice features like Velcro to keep the batteries locked down in the battery holder. This is a great megaphone all the way around. The ceramic pick-ups/amplifiers make the unit lightweight and give it a battery life many times longer than the older magnet pick-up style megaphones. 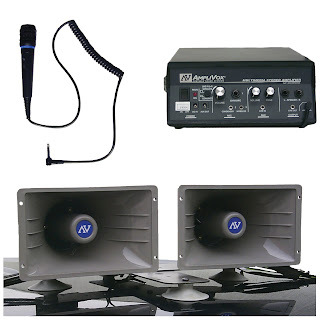 I don't know why all megaphones being made now don't have this technology -- the high end magnet-style units cost the same amount and often more. There are three other features that I really like about this megaphone that other smaller and slightly cheaper ones don't have. Second, it has an easily adjustable dial volume switch on the back that can be toggled with the thumb of the same hand using the megaphone -- also perfect for one-handed use. Third, it has an internal gain adjustment dial. 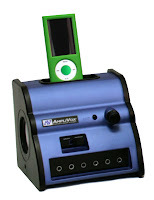 This is ideal for performance and recording, because it allows a little variation in distortion. Just be careful not to adjust the gain to high if you're going to be talking loudly into it or, naturally, you'll get feedback. -Battery strength indicator LED lights which show Low, Mid, and Hi. -Removable rubber cone protector that keeps the end of the bell from being scuffed when set down. 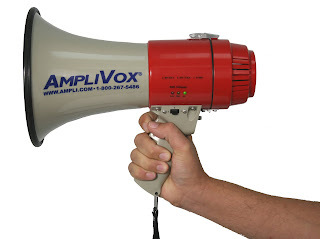 The 25W megaphone has every feature I was looking for: internal microphone, trigger on/off talk switch, adjustable gain, volume thumb-toggle dial, long battery life, lightweight, and above all, excellent sound quality. I'm an actor/musician, and I purchased the S602 megaphone for performance use and it fits my needs perfectly. I've even used it for crowd control while filming a scene with lots of extras. ~Testimonials Courtesy of Amazon reviews. Watch our Megaphone YouTube Playlist! It features many uses of our megaphone, including one by a US President!! 1. Start the year tough. Many teachers make the mistake of starting the school year with a poor discipline plan or without any classroom management plan at all. It is so much easier to start tough and then lighten up, then to start light and discipline more. 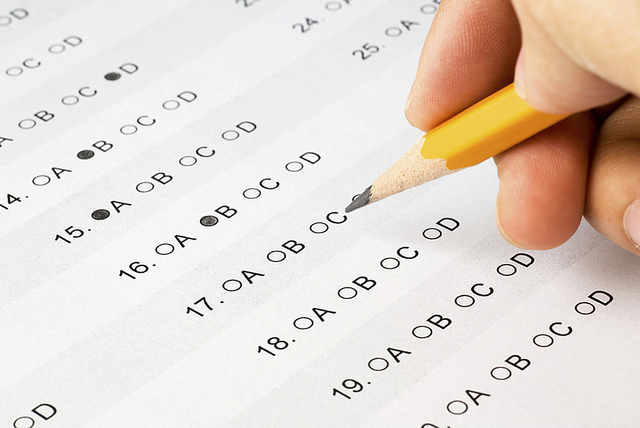 At the beginning of the year, students quickly assess the situation and realize what they will be allowed to get away with. Starting the year tough will give you control and flexibility. 2. 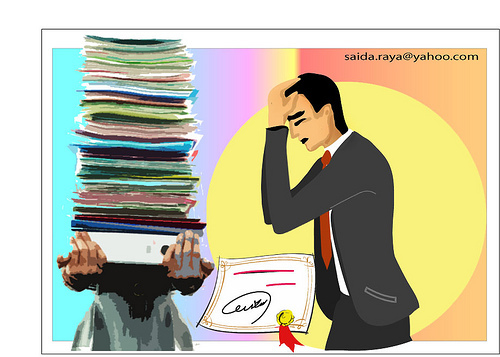 Be fair to all students. 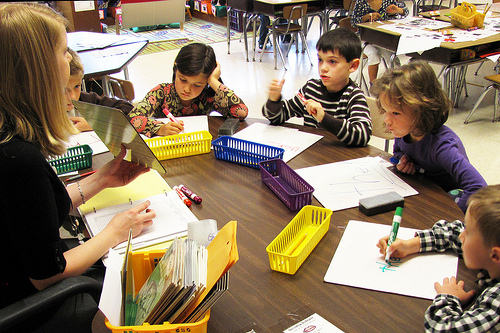 Students are the first to recognize a teacher’s favorites or biases. This is dangerous because it could lead to disruption if they sense that a teacher has favorites. 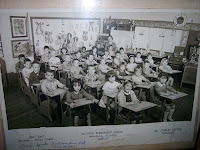 Treat all without partiality and make sure all are included and engaged in class material. 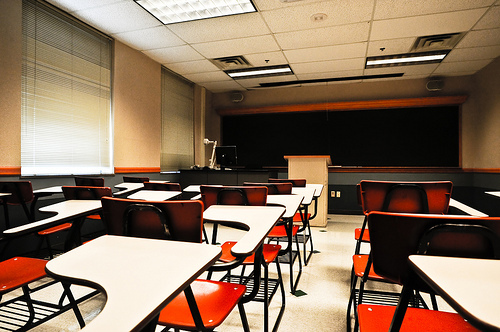 Without fairness, knowing all of the best teaching methods and strategies will be useless. 3. Be prepared for disruptions---and don’t let them phase you. Students often amplify their teacher’s reaction to disruptions—be ready for them and be ready to calmly and quickly pick up where you left off. Having a joke or interesting comment ready to bring attention back to you will allow you to transition back to the material. It is also good to be prepared for emergencies. Taking the time to structure your lessons and units around specific objectives will keep students focused and prevent them from drifting off topic. 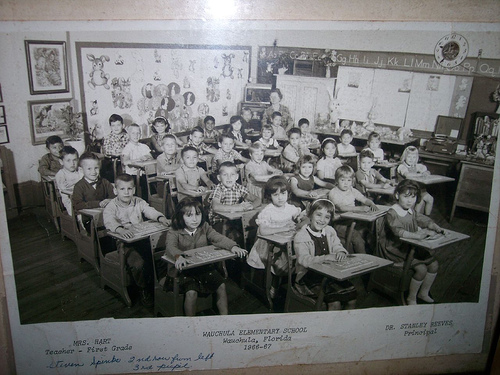 Organization permeates every facet of teaching and classroom life. From knowing where classroom materials are located to understanding how you want to plan lessons, organization can make the difference between a smooth or rocky classroom. Expect that your students will behave, not that they will disrupt. Reinforce this with the way you speak to your students. 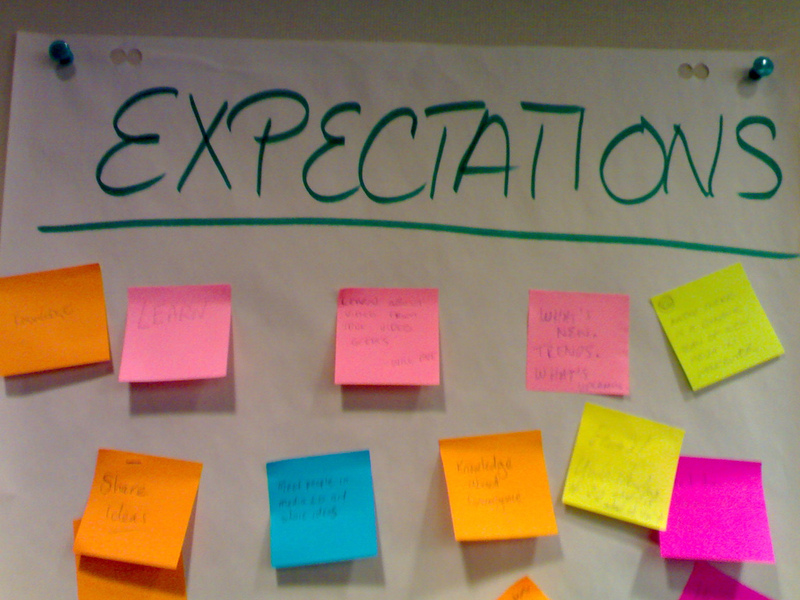 When you begin the day, tell your students your expectations for the day and they will have the goals engrained in their head and will be less likely to cause trouble. It’s never too early to encourage students to act with personal responsibility. Show them that there are consequences, both positive and negative, to their actions and decisions. Include them when possible in creating rules and methods of evaluation in the class, and provide them the opportunity to lead class discussions. 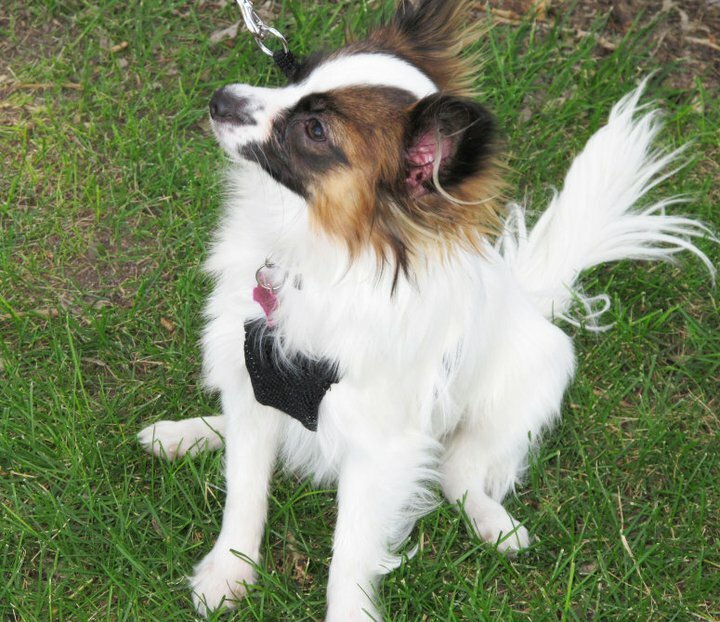 They will approach these situations more seriously if they can claim a sense of ownership. Motivating students though rewards like no homework, watching a video, ice cream, or free-activity time can help students by giving them a goal. This can also help students hold each other accountable to class goals and stigmatize negative behavior even more. Always understand that young students are not adults, but they will feel empowered and motivated that they possess independence and individuality in the classroom, which can provide lessons and skills that will benefit them well after they have left your class. Make sure you have plenty of activities to cover classroom time. It is wise to have several go-to activities to do if and when a lesson finishes early. 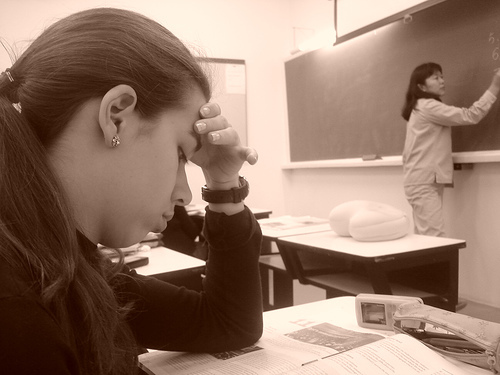 It is sometimes the point of no return when students realize they are done with planned activities. Consider the best way to present lesson plans to students, whether it’s through syllabus handouts, daily updates on your whiteboard, or through using computer resources. By being organized, you and your students will look back at year’s end and feel accomplished at everything that’s been done. 7. Have a clearly expressed disciplinary plan…with consequences! 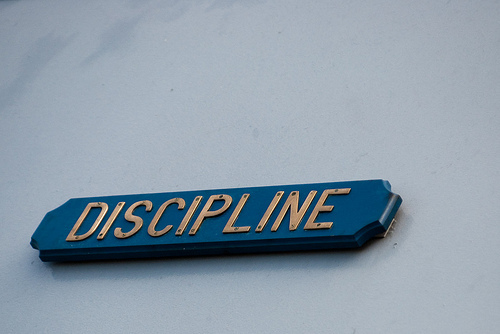 Make sure students know the disciplinary ladder well. 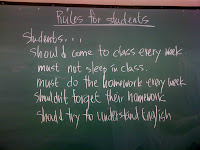 Any hint of ambiguity can leave a loophole for excuses (and students are great at making excuses!). 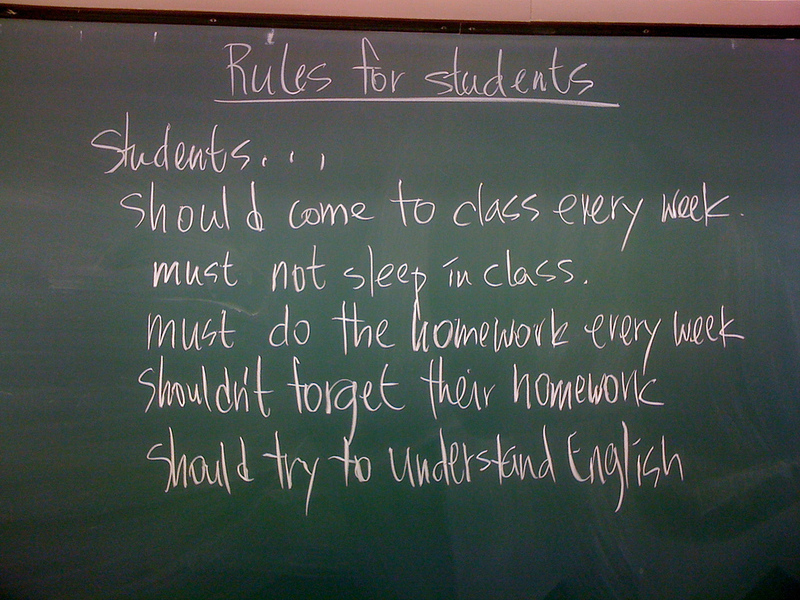 Warn students when they are close to breaking a rule so there will be no ambiguity when that line is crossed. Strong, direct communication is pivotal in establishing rules and explaining assignments, but it is also just as important when addressing poor behavior in the classroom. If a student is acting out, use clear, decisive language when communicating to them about what they have done wrong. Failing to be direct lessens the impact of the discipline and risks other students questioning your authority because they see there is little consequence for acting out. You strive to establish strong communication with your students, and it is important to use it when necessary to correct misbehaviors in the classroom. If you constantly raise your voice to get the attention of the class, consider investing in a classroom amplification system which can save your voice by projecting it. Teachers love amplified classroom systems because they make it easier to get the attention of the whole class and stick to curriculum. 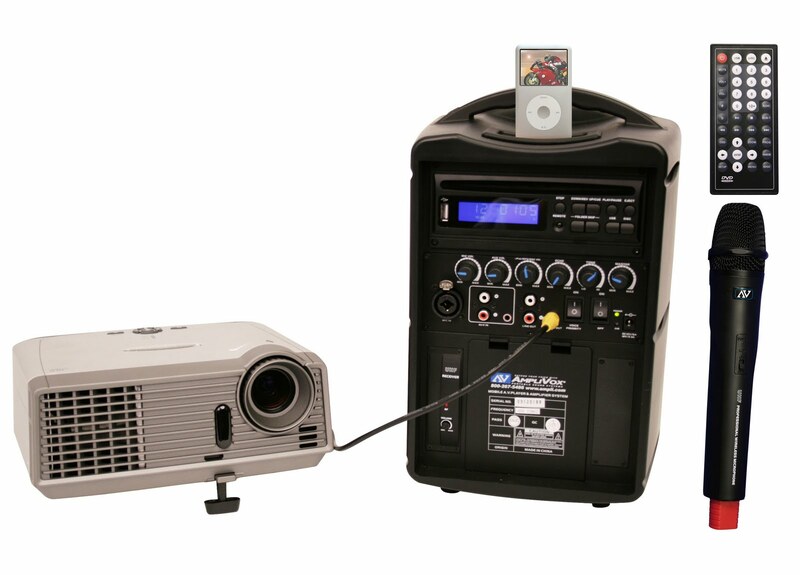 The iPod Portable PA system is a great system for classrooms because it features an iPod dock that simultaneously plays and charges your iPod and also has outputs for a projector. A teacher than can connect positively with their students will make students behave and easier to manage because students will regard the teacher much like a friend. 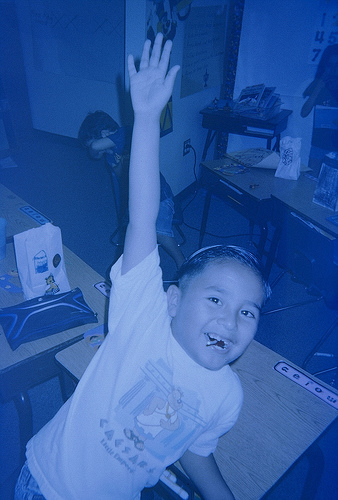 Using positive reinforcement to build a positive reputation for the child gives the student confidence that their teacher believes in them and will make it harder to disappoint the teacher with bad behavior or work ethic. Parent-teacher conferences, open houses and other school sponsored events are great opportunities to interact with parents and talk about how their child is doing in class, but it also pays off to reach out directly beyond these events. Taking the time to share both areas of strength and areas of improvement about their kids will build trust with parents, and create a strong channel of communication that will have a positive impact on the student. Fostering a relationship with parents can go a long way in anticipating and addressing any problems that may arise both in and outside of the classroom. 9. Be careful about confrontation. Confrontation needs to not humiliate nor does it need to be done in front of others. 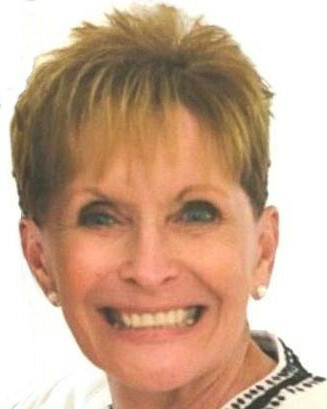 A bad confrontation situation could cause turn a teacher into an enemy in the eyes of a student. This will only amplify bad behavior. As a teacher, you are the unquestioned leader of the classroom, and it is vital you set the tone for the year by establishing rules to follow and the expectations you have for students. 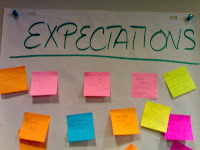 But it is also important to engage with students and allow them to ask what they expect from you and the class. Students will feel empowered knowing that they have a voice, and will also feel more confident tackling the work ahead because they understand what to expect going forward. You will have a stronger understanding of classroom dynamics, and may even be able to prevent misbehaviors and problems from occurring because you have established a two-way channel of communication and feedback. Direct engagement with students about these matters will ensure both you and your students are on an equal level of understanding going forward. 10. Be patient and keep practicing. Don’t worry if things don’t go well right away…controlling your classroom is learn-able but will always be a challenge with some students. Whether you are teach a kindergarten class, at an elementary school, middle school, or high school, it is best to “Expect the Unexpected” and be ready for adversity! For more information on classroom discipline, classroom behavior management, or organization please check back at blog.ampli.com or visit the AmpliVox YouTube Channel. Like this Post? Please Share on Facebook and Twitter! 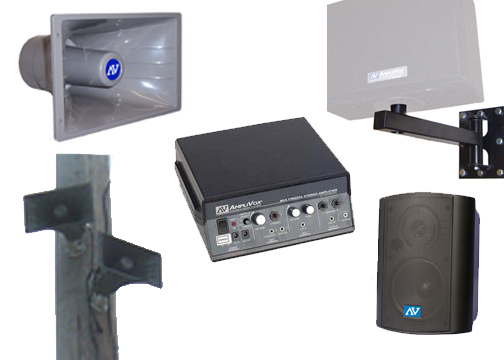 Want Live Sound for your Parade Float? Try an AmpliVox Portable Sound System! The Sound Cruiser by AmpliVox is the mountable version of the Half-Mile Hailer that is great for any vehicle: car, truck, police car, bus, etc! 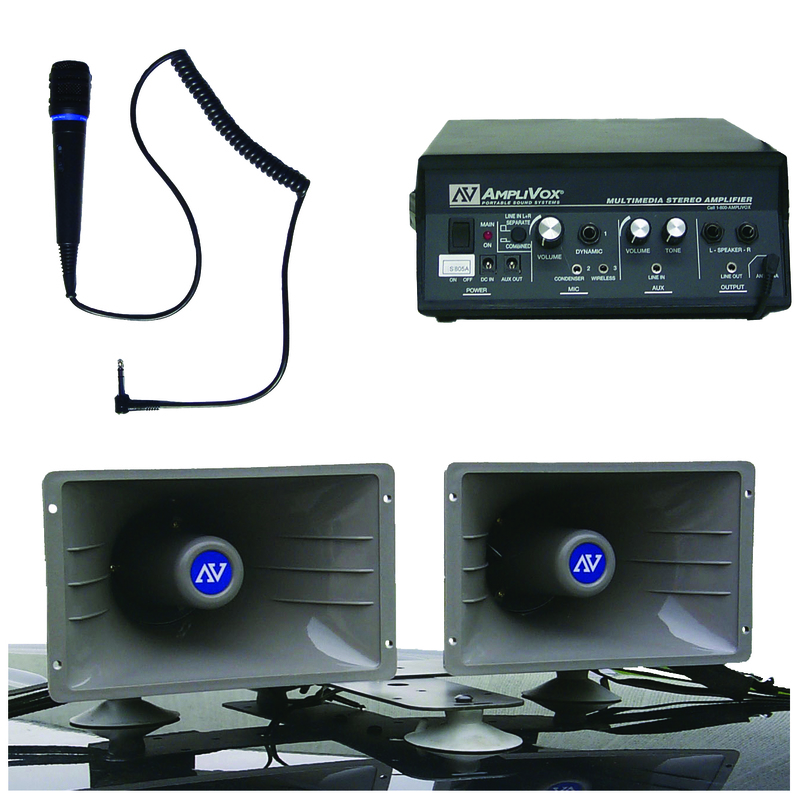 It is a PA System that easily straps on the roof and projects crisp and clear sound. 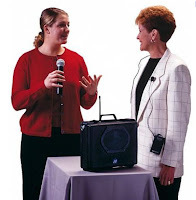 Plug in an external device or just greet those around you with the microphone (wireless mic is available). YouTube Comedian Edbassmaster did a video called "Look at This" with the Sound Cruiser that now has over 800,000 views!!! This is just one of the many great ways to Connect with AmpliVox. Here is a picture of how Tony (AmpliVox Employee) decorated his house for Halloween. I'm excited to see what he will do in December! While there are some nay-sayers who bring up some negative effects of technology on education, mainly budgetary reasons, using new technologies is the future of the education system. 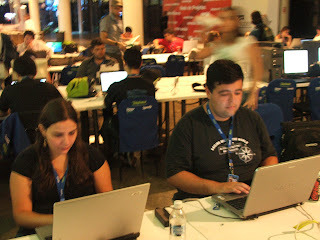 "Teachers will not be replaced by technology, but teachers who don’t use technology will be replaced by those who do.". 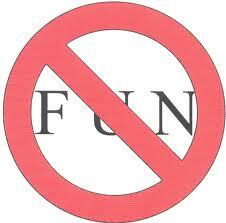 "THOU SHALT NOT HAVE FUN"
Students spend hours using technology like computers and television when they get home from school--why not engage them through their favorite mediums? The tech industry is only getting bigger--encourage your students to know and understand technology so they can be the tech leaders of the future! 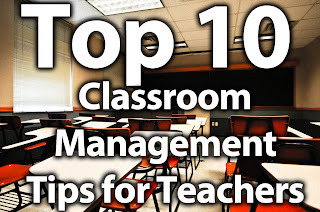 Even the best teachers can have their moments or topics when they are like Ben Stein in Ferris Bueller's Day Off or Charlie Brown's Teacher in the eyes of their students. 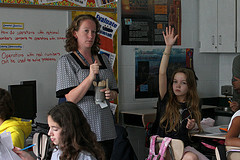 Using technology keeps students awake and their attention level high. How hard is it for you to fall asleep while on the internet compared to hearing a lecture? 7. Learn from the Experts. With the an increasing amount of free resources available on the internet, you can engage your students with content from the smartest and best teachers in the world. Instead of recreating the wheel each day in economics class, why don't you occasionally show a video by Nobel Prize winning Economist Milton Friedman? 8. Encourages Homework. Wait a minute...there is something that can actually encourage students to do homework??? Yes. Some are finding that a "Flipped Classroom" where homework is done at school and lectures are viewed online at home is the best model because it allows teachers to give real-time homework help and 'lecture' off the clock. This can help students overcome barriers quickly by remove frustration and negative feelings or emotions that develop in the learning process. Students who want to go home and unwind after school are not usually eager to put their head in a book but would rather spend time on the internet playing games or Facebooking. Why not engage students through the internet and games? Seeing an interesting tweet or Facebook post could encourage them to continue learning even when their homework is done. 9. Saves Money. Although using new technology normally has an initial investment, it will save schools by multiplying the number of teachers in a classroom. Instead of having one teacher teaching twenty students, adding technology like a school listening center or a tablet computer will increase the number of functional-teachers in your classroom and free up the real teacher to answer questions and help students. With the ability to use free content online, teachers will not need to spend as much on curriculum or resources. 10. Remove Obstacles. Do you have students who have trouble hearing? 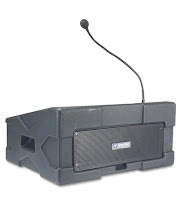 Using a classroom amplifier system can allow teachers to amplify their voices and speak at a comfortable level so students are able to hear teachers without strain. 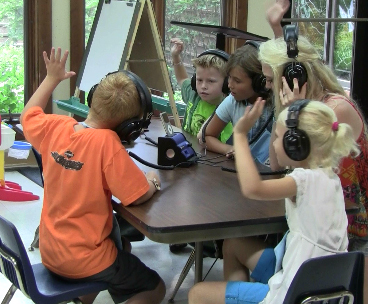 100% of teachers in a recent study said that it was easier to get the attention of the whole class and 100% of teachers said they spent less time managing behavior and more time focusing on curriculum when using speaker systems in the class. Read more about Amplified Classrooms. Like the Article? Please share!